Pastor P. R. Baby discusses the word of God with the viewers and stresses on the importance of a strong faith towards Jesus Christ. Are you missing your regular devotional programs? 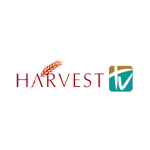 Not anymore, famous Malayalam spiritual channel Harvest TV boadcasts various types of Christian Devotional Programs, News etc. Always stay connected and find peace with Malayalam devotional content wherever you are via YuppTV.